Slippery elm, also known as Ulmus Rubra, contains a potent healing agent under its hard, outer bark exterior. The inner bark of this tree, first used medically by Native Americans, is often utilized for its numerous medicinal and herbal properties that promote health and well-being. These ancient civilizations would strip the bark from the inside of the tree and use it to alleviate conditions such as sore throats and fevers and reduce the risk of infection. Soldiers in the Revolutionary War would even capitalize on this remedy by packing it into gunshot wounds to speed healing. The slippery elm tree, native to eastern North America, is characterized by its chestnut buds, and slimy inner bark. It may be referred to by other names such as Indian elm, red elm, and grey elm, depending on the region of growth. Though science has been slow to prove the veracity of slippery elm healing benefits, hundreds of years of anecdotal evidence and its continued use by herbalists and naturopaths contribute to its elevated status as a potent natural remedy. The inner bark of the tree contains a compound known as mucilage, and when this bark is combined with water (or any other liquid), it creates a slippery, slimy substance that, when ingested or applied topically, coats and heals the body’s tissue. While it may not be the most appealing remedy, this bark has proven to be a powerful combatant of various health conditions. Note: Only buy certified organic slippery elm bark, powder, or capsules. The mucilage in slippery elm serves to coat and soothe the lining of the throat, bringing relief from soreness caused by cold, flu, and allergies. It is also known to reduce irritation of mucous membranes and prevent excessive coughing. For this use, slippery elm is best ingested through throat lozenges made with this active ingredient or sipped in a hot tea. You can make your own slippery elm lozenges or purchase these Sugar Free Slippery Elm Lozenges on Amazon. Though there are no definitive studies that prove slippery elms benefits in this area, people have been using this herbal remedy for years to alleviate symptoms of bronchitis or asthma. 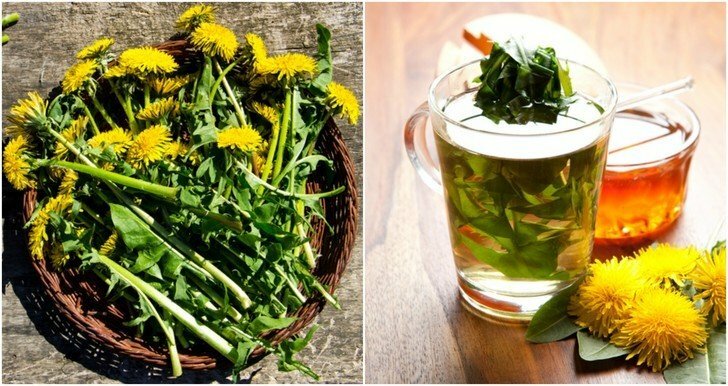 Keep in mind; however, this is not a cure for upper respiratory diseases, merely a means of soothing the throat and reducing inflammation. Perhaps one of the best-known benefits of slippery elm is its ability to reduce and prevent digestive issues. This tree is called a demulcent, or a mucoprotective agent, meaning that it is an effective means of coating the intestines and the lining of the stomach, while soothing irritated bowels. Once again, it is the mucilage in this remedy that plays the primary role in providing relief from various digestive issues. This thick, gel-like substance can reduce pain from ulcerative colitis, Crohn’s disease, irritable bowel syndrome, and numerous other gastrointestinal disorders. Not to mention, that the fibrous tissue in unprocessed slippery elm has been used for years to alleviate diarrhea. One study, performed on 31 test subjects suffering from IBS (irritable bowel syndrome), discovered that slippery elm, when given in a mixture of various herbal remedies, was effective in improving the bowel health and bowel movement regularity of a number of the IBS patients. However, due to the localized nature of this study and the use of other natural elements, more research is needed to back these claims. Slippery elm is heralded across natural health circles and through the offices of alternative healthcare professionals as an effective anti-inflammatory agent. Inflammation can cause pain, redness, swelling, and heat along with fevers, and joint and chest pain. Those suffering from heartburn or hemorrhoids may find relief when taking slippery elm supplements as it has been clearly shown to reduce the severity and pain from both conditions. The benefits of slippery elm aren’t constrained to internal use. When a salve or balm is made of this powerful bark, it can be used to treat many skin ailments such as burns, rashes, scars, and age spots. The potent combination of vitamins, minerals, and antioxidants present in this remedy serve to encourage new skin growth and prevent infection. It can be used effectively in the treatment of minor abrasions and irritated skin. It even promotes more youthful, wrinkle-free skin as it can eliminate free-radicals and age spots, turning back the clock and restoring natural beauty. This applies to pain relief as well, since slippery elm is a potent analgesic, serving to lessen pain from sore muscles, bruises, and topical joint stiffness and discomfort. One note of caution, however, before applying slippery elm topically. Those with sensitive skin may experience an adverse reaction to this salve in the form of itching, redness, irritation, or rashes. Test on a small area of skin before applying and discontinue use immediately if a negative reaction occurs. Regardless of which way circulation issues present themselves, sluggish blood can cause innumerable problems for the health and wellness of your body. Since slippery elm contains high levels of iron (vital for producing red blood cells) and potassium, it is an effective means of increasing the function of a hampered cardiovascular system. When ingested, slippery elm encourages blood flow and can improve oxygen distribution to all parts of the body. Sometimes there is nothing more irritating than nagging tooth pain. Slippery elm, when applied to the cap of the tooth and surrounding gum area has been known to reduce the risk of infection while relieving pain and decreasing inflammation in the mouth. Acid reflux, whether a mild case or something more severe, such as gastroesophageal reflux disease (GERD) can be a difficult condition to manage and treat effectively. This acid reflux occurs when the lower esophageal sphincter fails to close and prevent undigested food from returning up the esophagus. Those who struggle with this condition over an extended period will have great discomfort and potentially experience more severe health issues such as permanently harming the esophagus from repeated expelling of stomach contents. Slippery elm can coat the throat and lining of the stomach to reduce pain and limit the severity of acid reflux while forming a barrier against acidity damage. Slippery elm is often utilized to help soothe and calm an irritated urinary tract. It can be used to decrease inflammation and reduce pain from interstitial cystitis (painful bladder syndrome). Note that slippery elm will not necessarily help eliminate urinary tract infection. More research is needed in this area to prove improved urinary tract health with slippery elm use. Slippery elm is one of the safest, most potent natural remedies for numerous health issues and conditions. However, there are a few side effects you should be aware of before taking this supplement. Avoid slippery elm if you are pregnant or could become pregnant as its effects on an unborn baby are unknown, and it has potential abortive effects. Do not take slippery elm if you are breastfeeding. Allergic reactions, though rare, are possible. Discontinue use if you notice any signs of an allergic reaction. Seek immediate medical attention if you notice any swelling of the throat, tongue, face, lips, or difficulty breathing. Skin rash may also occur. Discontinue use if the skin is irritated, red or increasingly inflamed or swollen. Do not take slippery elm within two hours of taking any other medication as it may slow absorption of certain prescription drugs. Talk with your doctor if you have any health concerns before starting or while taking slippery elm. To make straightforward, slippery elm tea, and reap all of its’ beneficial properties, simply pour 2 cups of boiling water over 2 Tbsp organic powdered slippery elm bark and let steep for 3 mins before drinking. Repeat this process every day for best effect. Add all ingredients except boiling water to a cup. Stir until ingredients are dissolved. If you’re just not the biggest fan of tea and are looking for something a little more filling and refreshing, try this slippery elm smoothie to start your day off right. Overall, slippery elm can be an amazing solution to numerous health problems and works naturally with your body to encourage healing, rather than combat against it. Though much of the evidence backing slippery elm is rooted in tradition, it is beginning to be accepted by more mainstream healthcare professionals as science starts to back up the ancient herb. Brew a glass of this delicious tea today, and sip away!